Heaps of debris, power lines downed, smoke rising from demolished roof of what used to be the Fukushima reactor before the devastating tsunami hit the plant in March 2011 – TEPCO offers photos taken in the weeks after the disaster. 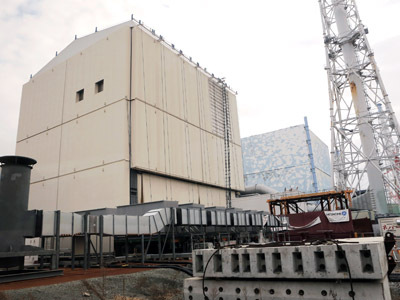 ­Fukushima operator, Tokyo Electric Power, released 2,145 pictures it took between March 15 and April 11. Some of them were taken by the workers. 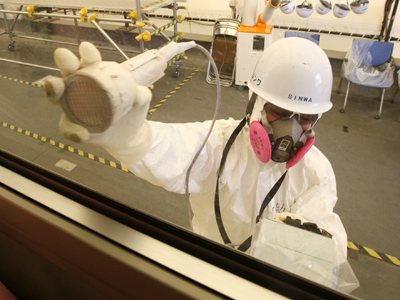 TEPCO also took them from other sources after asking employees and subcontractors to submit any photos they took. The company said it received more pictures than they published February 1, but decided to withhold 849, citing "protection of sensitive data" relating to nuclear technology. The photographs are the evidence of the chaos workers had to deal with in the immediate aftermath of the earthquake and tsunami as they struggled to prevent the world's worst nuclear disaster for a generation. Some pictures show machines spraying water into the No. 4 reactor to cool the fuel rods. Among the photos are images of the wreck of the No. 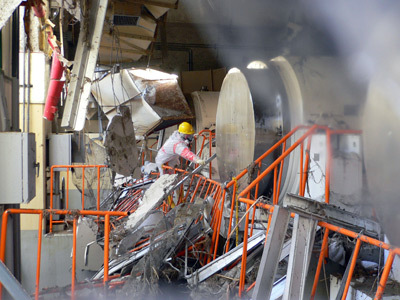 3 reactor building after a hydrogen explosion on March 14, 2011. Almost two years on from the disaster the clean-up operation is far from complete. The tsunami on March 11 in 2011 resulted in a reactor meltdown and the release of radioactive material. Hundreds of thousands of homes and other structures were destroyed by the inundation. The natural disaster claimed around 19,000 lives and hundreds of thousands evacuated. Some 160,000 are still not allowed to be back to their houses in the vicinity of the power plant. Scientists say it could take up to 40 years to make some parts of the area safe again while others warn it may never be habitable. This is the largest release of images and follows the first set of 600 photos made public in September 2012.